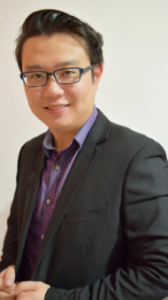 Sean Yao is a Sales Coach with more than 10 years of experience in the financial industry and is currently responsible for the professional development portfolio in a major bank in Singapore. He specialised in sales coaching, career coaching and management consulting. He is a Certified NLP Practitioner, a Certified Enneagram Life Coach, Certified TetraMap Facilitator, Certified Six Sigma Practitioner with an Advanced Certificate in Training and Assessment (ACTA). Mr. Yao holds a Masters Degree in Business Administration and is also a Chartered Marketer, Certified Wealth Planner, Certified Corporate Consultant and has a Specialist Diploma in Fund Management. The fundamental concept of TetraMap is actually very simple, yet its beauty lies in its simplicity. This behavioral tool is able to manifest into many different forms as it is applicable in many core disciplines. From leadership to sales programs, TetraMap is applicable and is able to help learners know more about themselves. Utilizing TetraMap, I can manifest my training programme towards the requirements of each element group. it is through these principles of diversity, inter-dependence and synergy that we can create innovation and success.